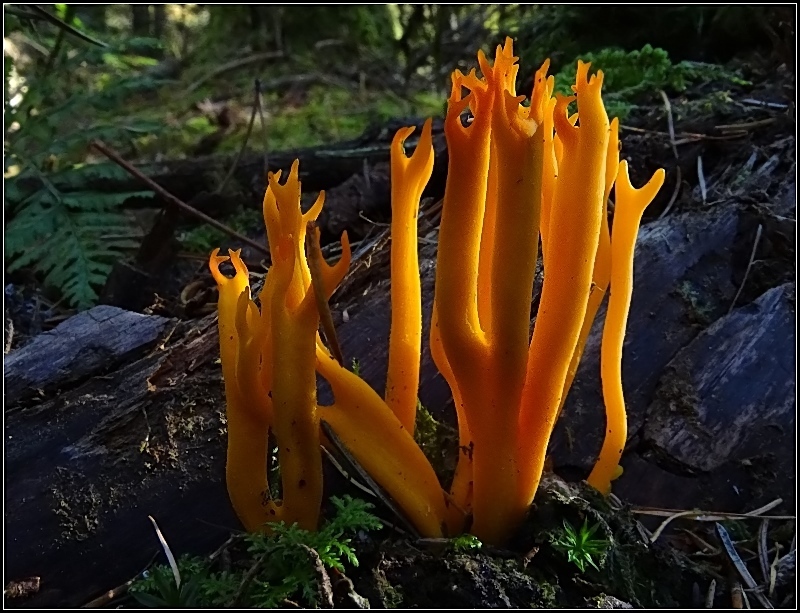 Although I wanted to post a photo of this common yet beautiful species, the Yellow Staghorn (Calocera viscosa (Pers.) Fr.) a few times, I never did. So, after I made this shot yesterday, I have no excuse anymore, I have to include this species into my gallery - and I gladly do it. Photo was taken in the Moanbaun Woods, a conifer-dominated beautiful forest near Watergrasshill village. Manual exposure mode and ISO, auto white balance. PP: moderate cropping, re-sharpening after re-sizing. Excellent image. Colorful specie and very interesting. Perfect lighting condition, Laszlo. Like such lighting. Well captured Fungi with good details and colors. Good work. Excellent atmosphere in this one, just how I like it. Awsome light and beautiful environment.